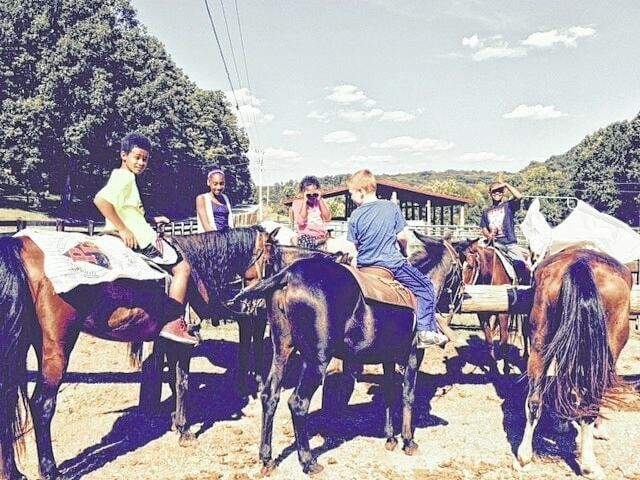 The Time Out for Me program located at the 14th Street Community Center completed their 4 week “Fear to Confidence” Annual Horse Camp program. The program focuses on moving from fear to confidence using a whole-brain strategy resulting in enthusiasm, increased memory, teamwork, and confidence as the youth use their natural senses to interact and learn. It is very exciting to see our youth teams volunteer and compete to do assigned tasks which leads to their rewards in self -confidence and riding activities. This program was established and copyrighted in 2000-2015 and is a success due to the continued cooperation and support of Southern Ohio Medical Center, Neal Hatcher, and Ben Thompson (Happy Trails). For additional questions or to sign your youth or organization up for “Fear to Confidence” Whole-Brain Learning program with Time out for Me and Ben Thompson, contact Marcia Harris at 740 353 8056.